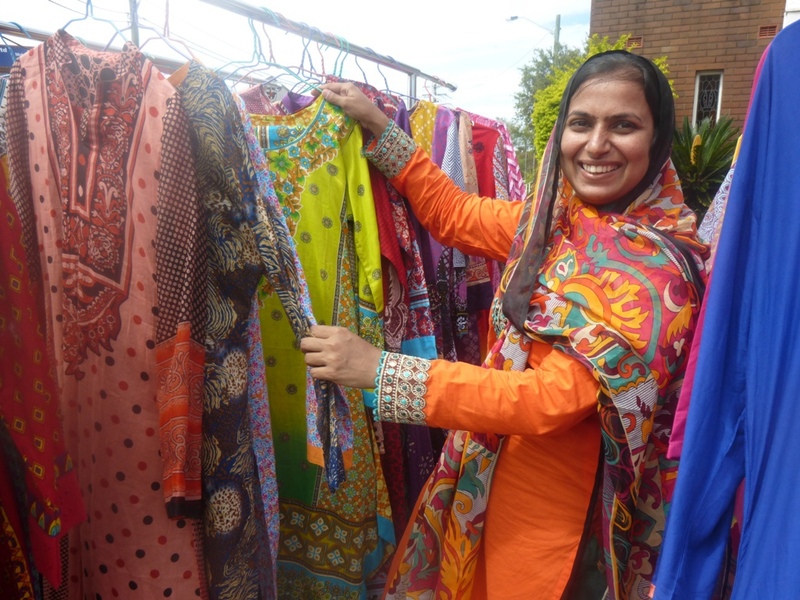 I love going to markets, and when the opportunity came up to write about the Lakemba Community Markets I couldn't wait to click on it. Check out this great market on the 1st Saturday of the month. Over the years I have been to numerous markets throughout Australia and overseas and every market that I have been to there has always been something that catches my eye. Whether it is something from a second hand stall, a gift for someone, a certain display or activity and who could go past those magnificent food stalls! 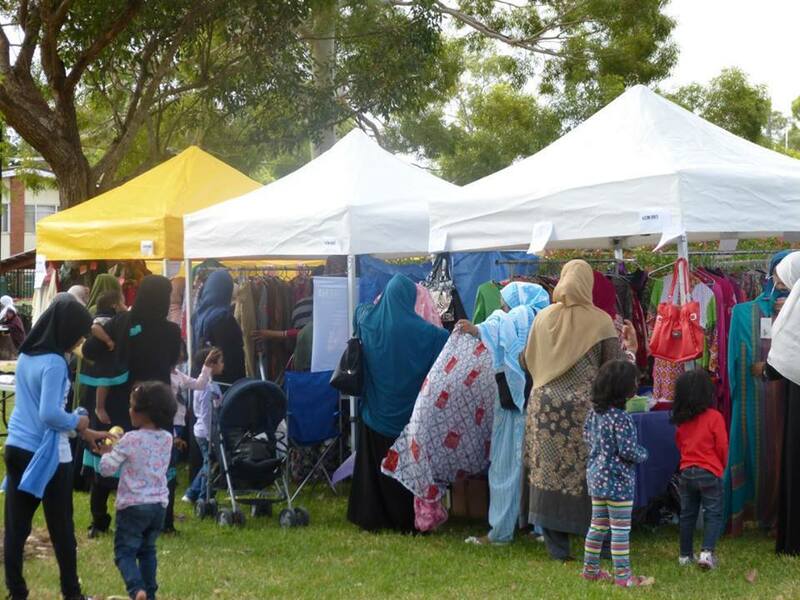 The Lakemba Community Markets is held on the1st Saturday of every month at the Jubilee Reserve on the Cnr of Railway Pde and Bellevue Ave at Lakemba from 10am to 4pm and the cost is free to visit. 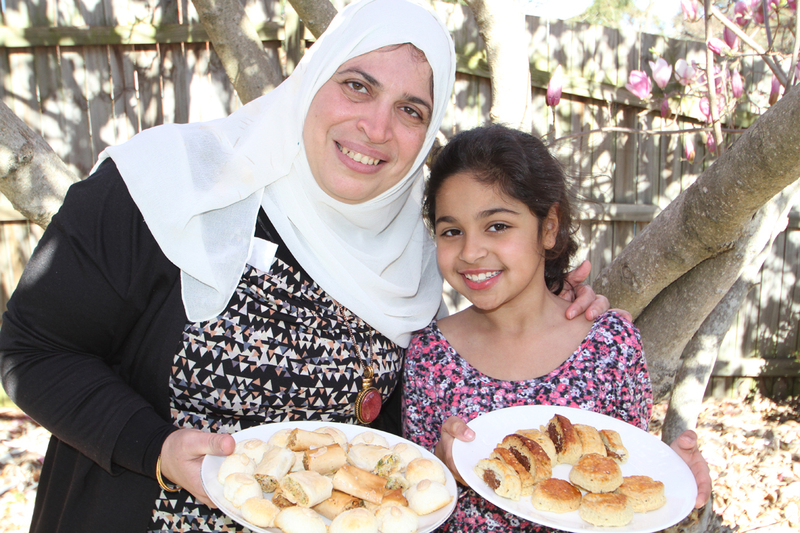 So what makes the Lakemba Community Markets stand out from the rest? As with all markets they would not be possible without the support of the local community centre and locals. Every month this close-knit community will get together and have over 30 stalls of beautiful items from every corner of the globe. Saima & some of the latest fashions. 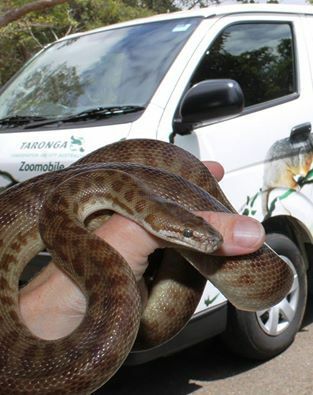 Photo courtesy of event organiser. Don't forget to check out the beautiful Henna Designs. Photo courtesy of event organiser. 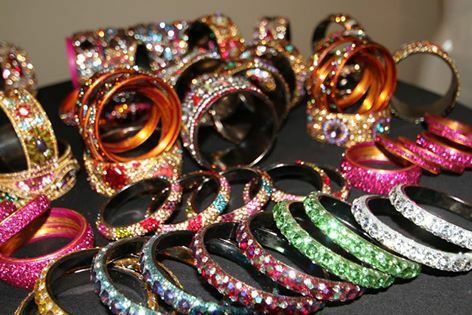 Lovely jewellery to be brought. Photo courtesy of event organiser. 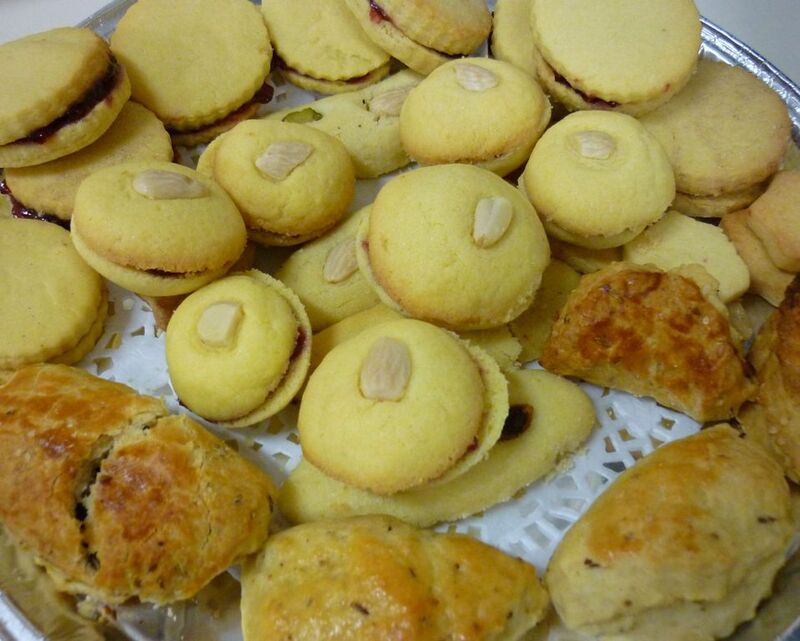 Mouth watering biscuits. Photo courtesy of event organiser. Sahar & her daughter with some delicious food. Photo courtesy of event organiser. A greatr atmosphere for the whole family. Photo courtesy of event organiser. Plenty of activities for the kids. Photo courtesy of event organiser. 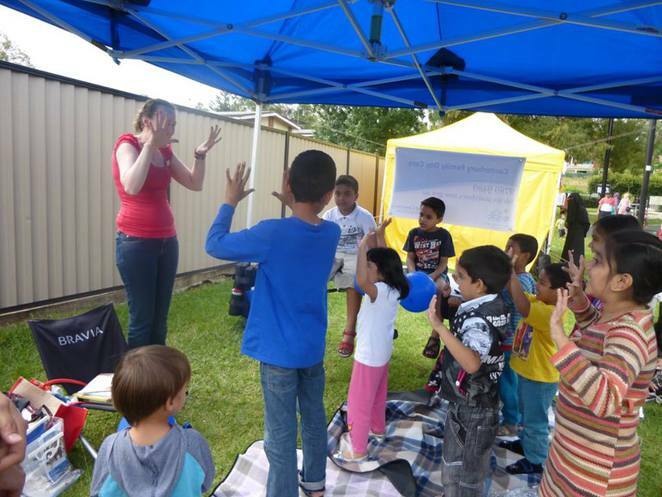 Over the years the Canterbury City Community Centres has received small grants to be able to provide a variety of amazing entertainment at each of the community markets and each month they strive to bring you something different. Photo courtesy of event organiser. 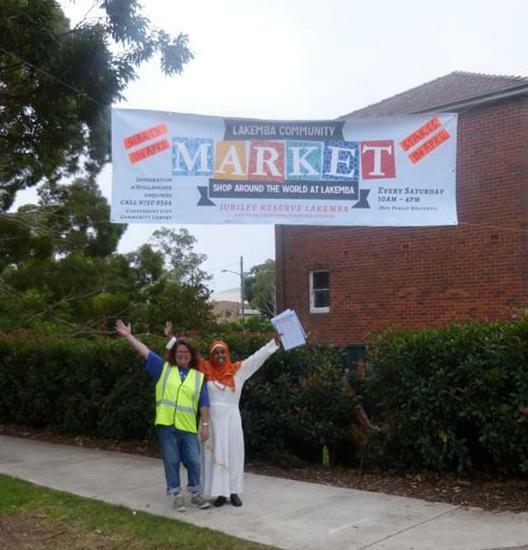 Established by Canterbury City Community Centre the markets aim to showcase Lakemba's vibrancy and diversity and it provides an opportunity for local people to start a business and earn extra income, the markets also provide a space for the community to come together and showcase Lakemba's cultural diversity. 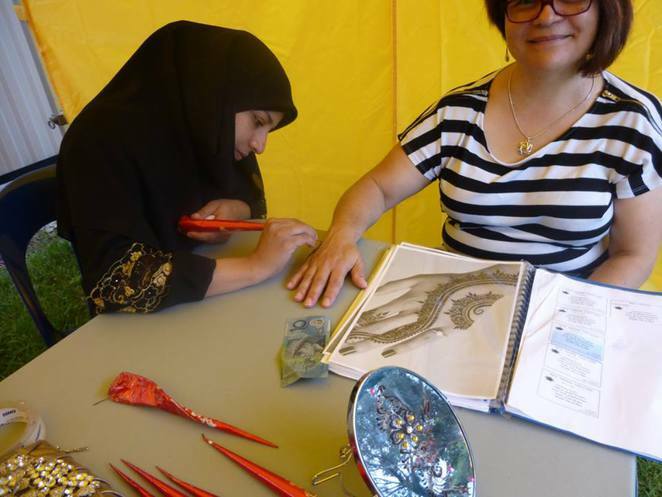 You should take the time to visit the Lakemba Community Centre. Photo courtesy of event organiser. The profits from stallholder fees go back to the Community Centre to assist run programs and activities. So if you are from the local community and you would be interested in becoming a store holder and displaying your goods, you should contact the the centre on 9750 9344 or by emailing markets@4cs.org.au. Ist Saturday or every month depending on the weather. Photo courtesy of event organiser. 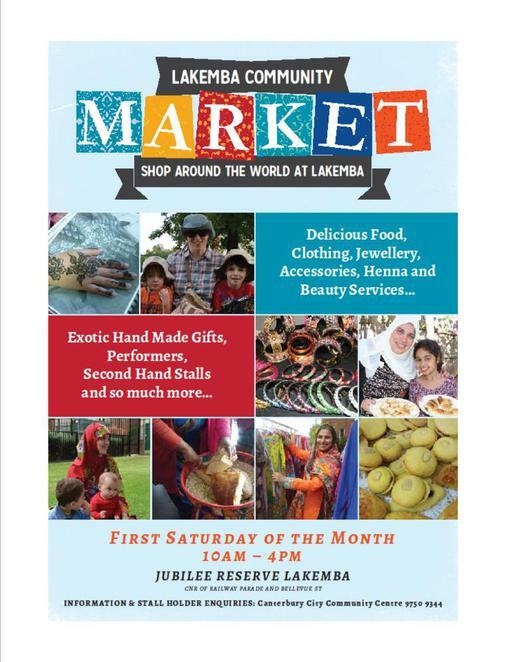 So whether you are a local or a visitor to the area and you are looking for something to do on the 1st Saturday of every month, you should take the time to go to the Lakemba Community Market. You are sure to see something that will take your interest and you will be also supporting a great community. Why? Fantastic craft, goods, clothes, food and fun. When: Ist Saturday of every month from 10am to 4pm. Cost: Free to visit. Various costs it you would like to buy something.